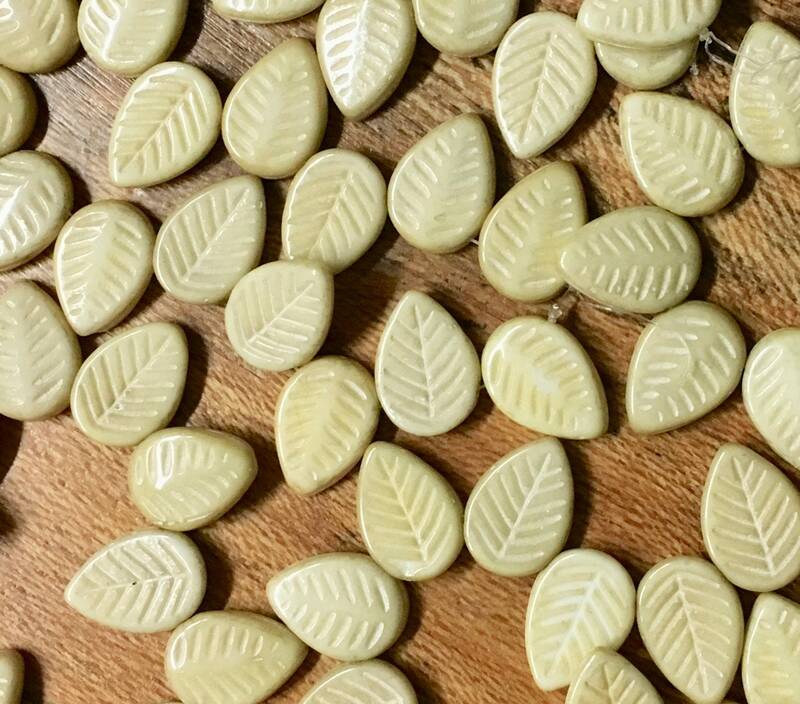 15 ivory opaque large flat Czech pressed glass leaf beads with mercury look finish (finish is not real mercury but a silverfish finish). 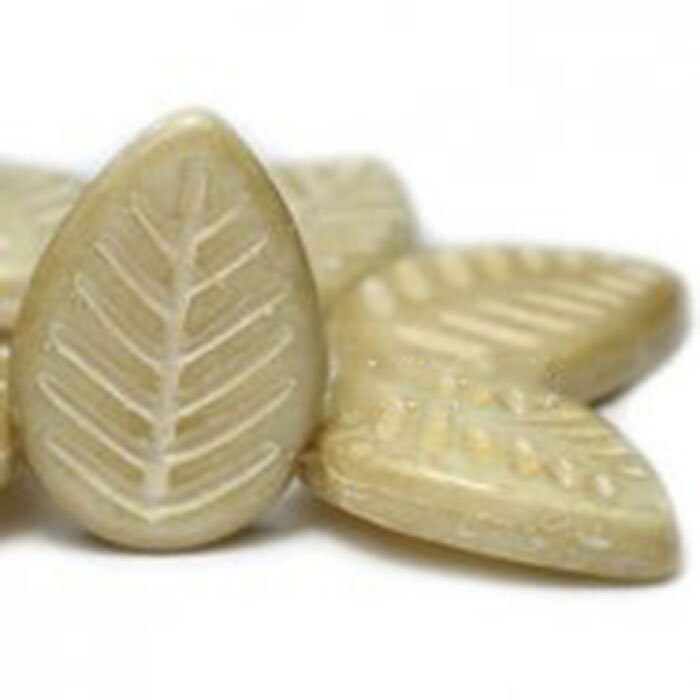 These leaves measure 16mm x 12mm. Hole runs from side to side across the top wider part of the leaves.